Darren Till shared a touching moment with Tyron Woodley’s mother backstage after UFC 228. 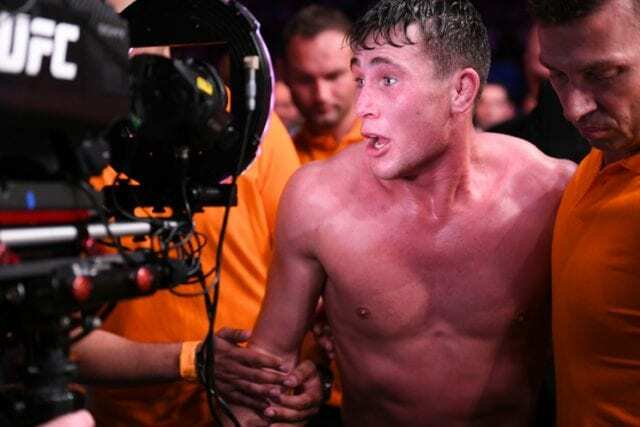 Till and Woodley headlined the pay-per-view (PPV) from Dallas, Texas, which was finished in the second round after “The Chosen One” locked in a D’arce choke. Woodley and Till showed a lot of sportsmanship after the bout as well. They shook hands after the fight inside the Octagon and exchanged comments. They also saw each other backstage, and Woodley offered the youngster some words of encouragement. 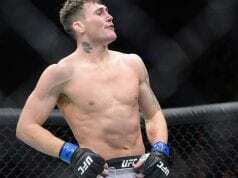 The 25-year-old is still young in his mixed martial arts (MMA) career. He is an extremely talented fighter and has already shown he can hang with the best the division has to offer. Till will likely find himself fighting for a title again in the future, but it’s amazing that he skyrocketed to the opportunity as fast as he did. As for Woodley, he’ll likely be moving on to a more personal rivalry in the coming months. Colby Covington is expected to be Woodley’s next challenger for the welterweight title, and that build-up will be very interesting, to say the least.